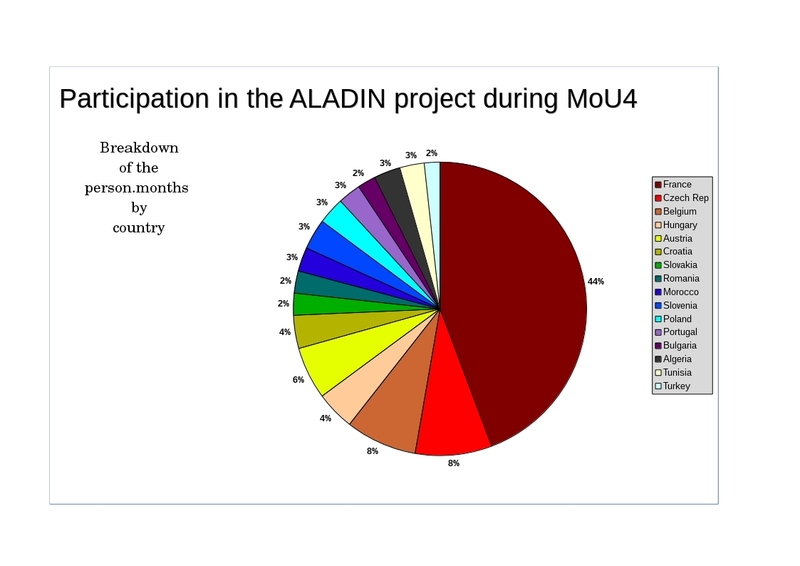 The statistics below were prepared at the end of MoU4, for the 20th General Assembly and the MoU5 signature. All Partners significantly contributed to the manpower, even if the accumulated data since 1991 may give a distorted view for the last countries to join ALADIN. 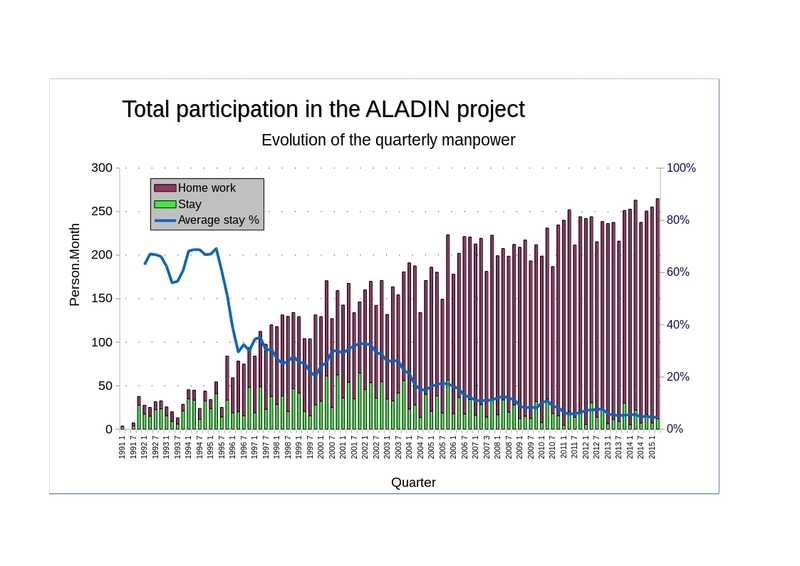 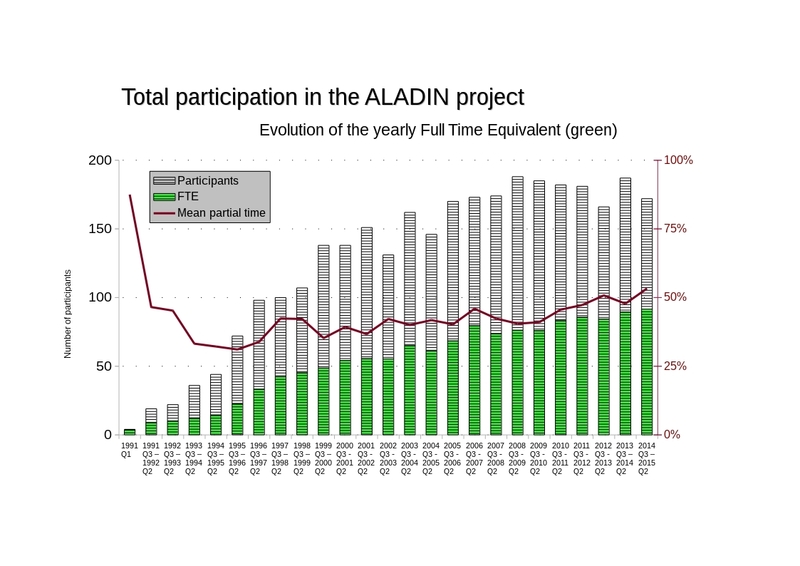 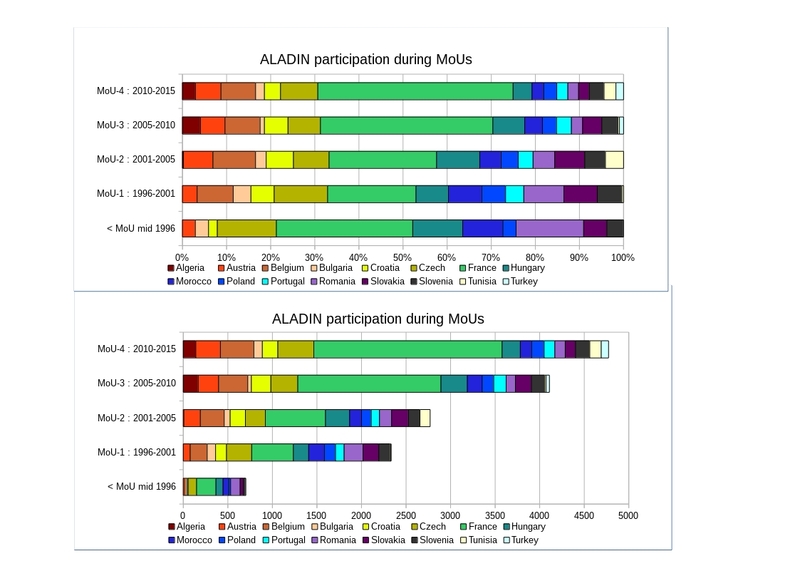 82% of the total manpower invested in ALADIN since 1991 was realized by permanent staffs in their NMSs, the mobility showing a long-term decrease (with more increased possibilities for virtual mobility, through tele- web- or video- conferencing). 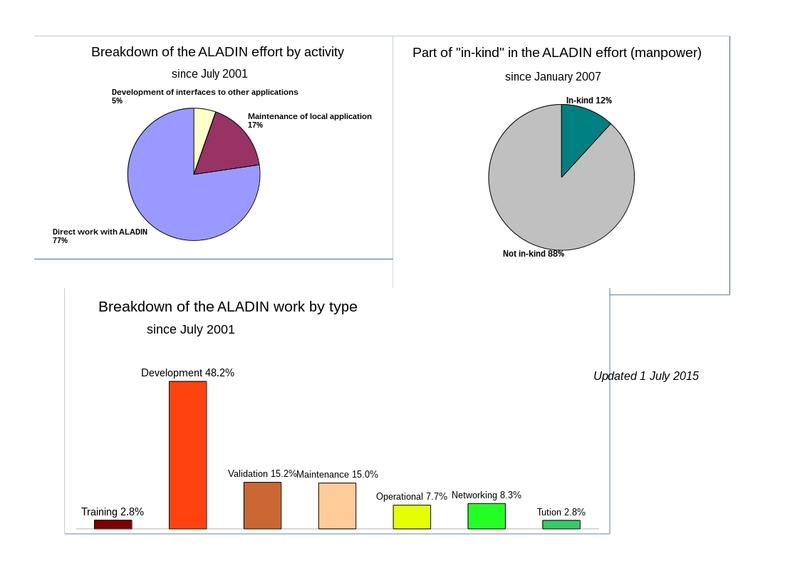 Since July 2001, the ALADIN effort is split in 3 categories (direct work, maintenance of local applications, development of interfaces to other applications). 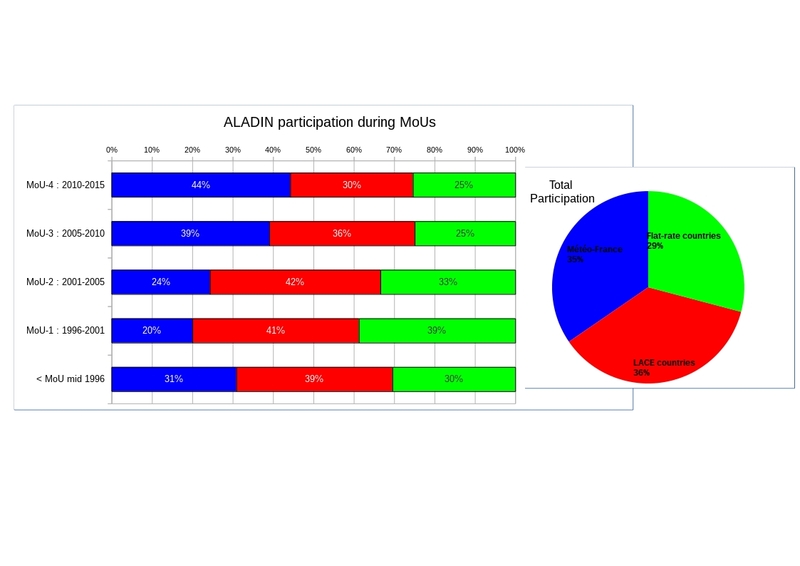 The type of work is also characterized (training, tuition, networking,maintenance, validation, development, operational). 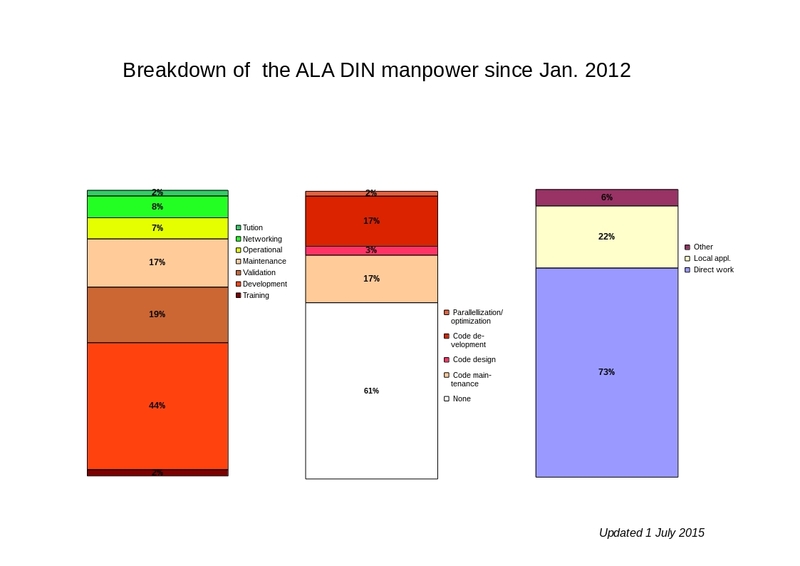 Since January 2007, the manpower is also split in "in-kind" or "not in-kind" work. 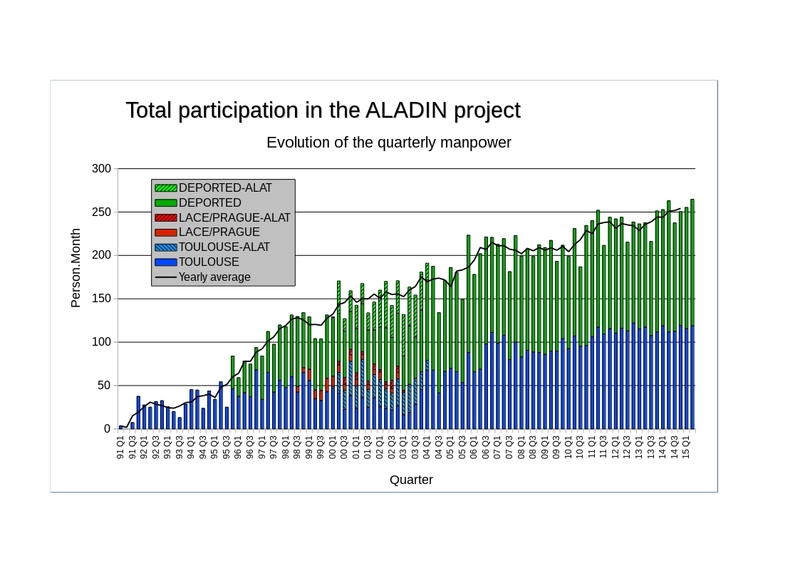 Since January 2012, the manpower invested has been scrutinized through additional criteria (code design and parallelization). 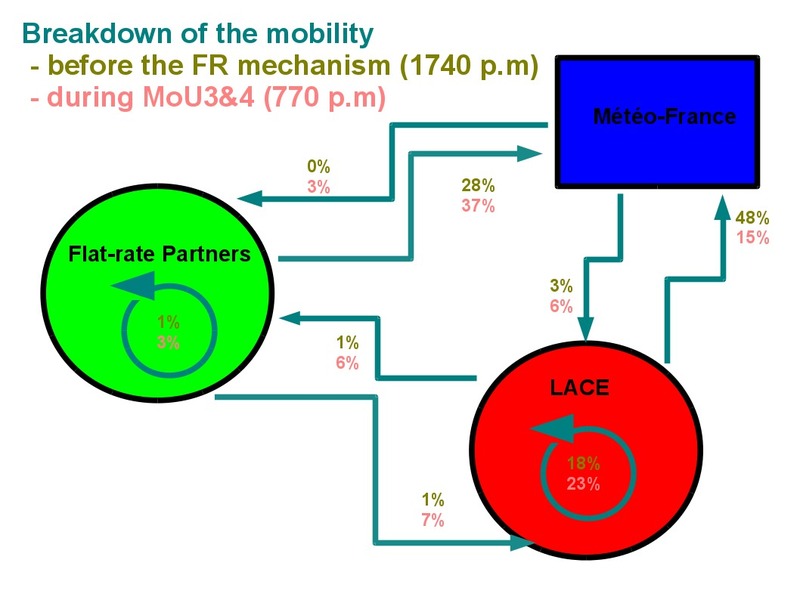 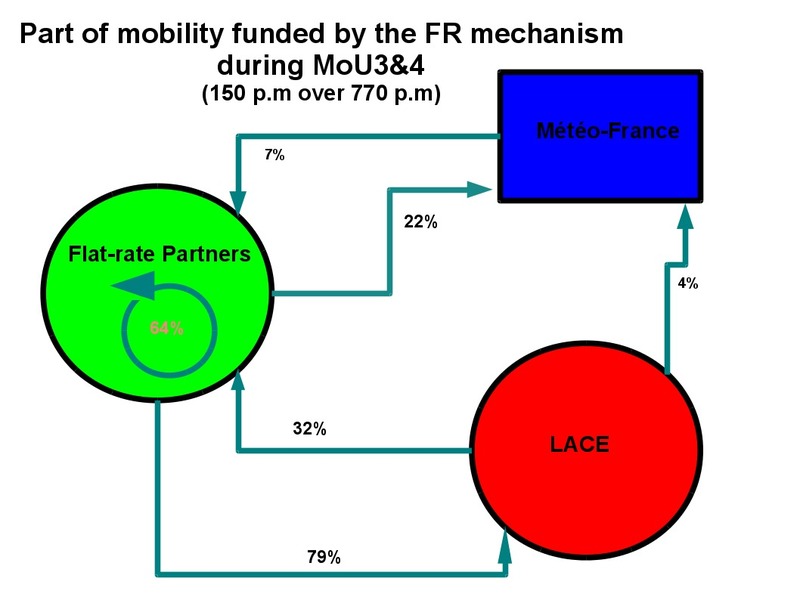 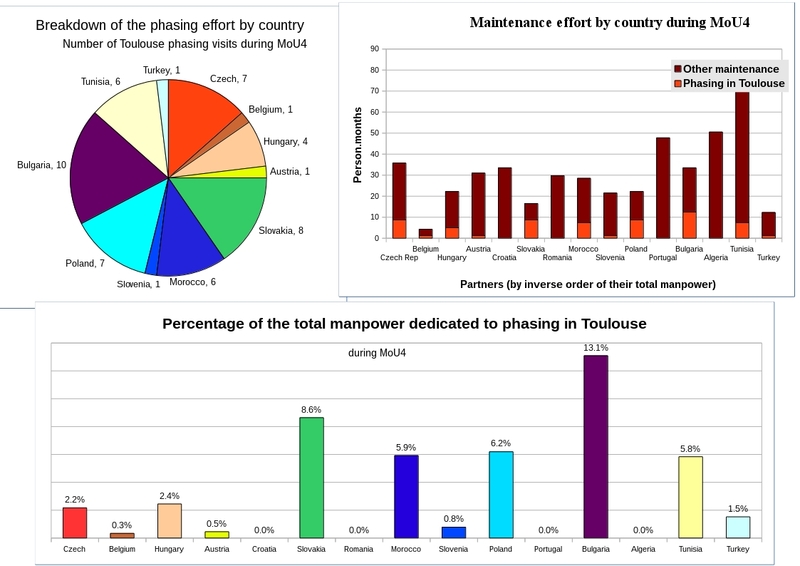 During MoU4 period, many Partners participated in the phasing effort in Toulouse and sent solid phasers teams, with people who had been working hard and well.